The practice has been promoted as a safer alternative to nicotine cigarettes due to the vapour that e-cigarette users consume after a liquid nicotine productâwhich smells and tastes sweet, and is sold in lolly-like wrappersâis converted by the device. â¢ Use in existing no-smoking indoor and outdoor places is prohibited. 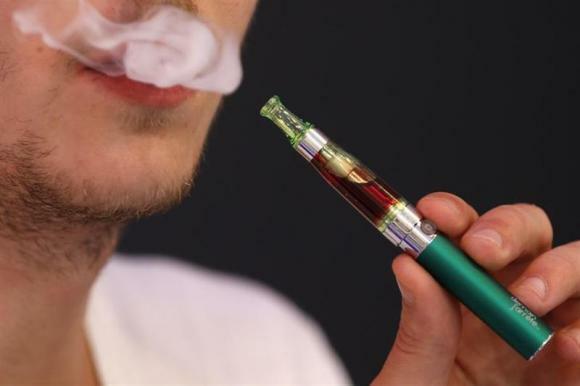 â¢ Children under 18 years of age may not use or purchase e-cigarettes. â¢ E-cigarettes cannot be advertised, promoted or displayed at retail outlets. The laws also apply to 'vaping' on the premises of all schools, hospitals and health facilitiesâincluding within five metres of their boundariesâwhile on- the-spot fines of A$230 will be given to offenders.